Mildred Lapson is listed in the International Dictionary of Biographies, London, England; Who's Who of AmericanArt, '59ff Library of Congress Card No.36-27014: Who's Who of American Women, '60ff Library of Congress card No.58-13264; Who's Who of the West, '67ff Library of Congress card No.49-48186. In addition to her works shown in the Metropolitan Museum, New York, NY; the Wadsworth Athenaeum Museum, Hartford, CT; Los Angeles County Museum, CA; the Frye museum, Seattle, WA; and Plymouth Hall Museum, Plymouth, MA to name a few among over fifty major museums and galleries across the country, Lapson's works are also included in numerous private and corporate collections in the United States and abroad, and are included in the Permanent Collection and Archives of the Pasadena Museum of History, Pasadena CA; the Permanent Collection and Archives of the Colchester Historical Society, Colchester, CT; the Permanent Collection and Archives of the Monrovia Historical Museum, Monrovia, CA; the Permanent Collection and Archives of California's State Theater; the Pasadena Playhouse; the Archives of the National Museum of Women in the Arts, Washington, D.C.; and the Permanent Collection in Perpetuity of the Ellis Island Museum, at Statue of Liberty Island, NY. Under the auspices of the U.S. Dept of Justice and Immigration, Lapson's paintings of immigration subjects toured the United States in all the Presidential Libraries and State museums for three years in celebration of the United States Centennial. On the west coast they were shown in Seattle, WA; Los Angeles, CA; in the Museum of Natural History; and the Ronald Reagan Library. 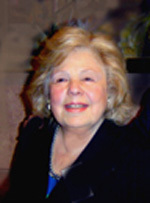 A teacher of Fine Arts for the California Board of Education for over five decades, she pioneered Fine Art interest and art programs throughout Southern California.  Lapson introducing extended day and adult education programs in several school districts including Pasadena City College in Pasadena and in San Diego. In addition, she founded the first Monrovia Annual Festival of Art in 1963. She continues to do guest lectures, critiques and to jury Art Competitions throughout the U.S. including Catalina Island and Hawaii. During Lapson's early painting career, she dropped her first name from her signature. In a male dominated world of art, she felt that "art should be judged on the merit and quality of the work, not on the gender of its creator". By keeping her signature gender-anonymous, her work could compete fairly in the art world. While her subjects are varied, her passion and dedication to her art is forceful and communicative. Her extensive research and sensitive drawings attest to her knowledge and skill with the human form, with a keen of 'simpatico' to humanity. Her sense of humor is also evident in her satirical work. Lapson says, "...As with the architecture of all things, including nature's or artists' whimsical improvisations, nothing is lasting without firm footing." Feeling empathy for what she terms as "the precious jewels of life", she adds, "They create prisms of brilliance on the facets of life and intensify life's forms, but it also makes me aware of the dimensions of the dark. It is impossible for me to feel one without the other. My approach to painting is with primary and serious respect to the subject. It is my hope that its essence will communicate to those who will share my feelings. I lean on academic structure for dynamic support, regardless of my improvisations". Although her works and subject matter range broadly, and would technically be classified as Impressionistic, she likes to be identified as a "Contemporary Communicator." Note: LAPSON artwork is available in Limited Giclee editions. They are personally signed and enhanced by the artist. Light emphasizes the forms of life, and makes me strongly aware of the dimensions of the dark. As in the facets of life, it is impossible for me to feel one without the other. The contrast in meaning is more than significant to me. I equate the facets of light and dark to the facets of life with its brilliance and its sadness. Rays of light punctuate the prisms of brilliance on the jewels of life, which light my way in the creative expression of my art..
My primary approach to painting is with serious respect to the subject. The character of the subject dictates the medium to be used, such as oil, acrylic, collage, etc. When each painting is finished it is my hope that its essence will communicate to those who will share my feelings. Technically, my work would be described as impressionistic, but I'd like to be identified as a contemporary communicator in the expression of my work. As with the architecture of all things, including nature's or artists' whimsical improvisations, nothing is lasting without firm footing. It is folly to depend on a lucky accident to determine the success of a painting. Experiments and improvisations are paramount to creative expressions throughout any artist's life. However, when an interesting result occurs through the process of improvisation, I take particular note of how it happened so that I can re-create it at my will as it becomes a part of my ever evolving technique. I lean on academic structure, design and composition for dynamic support, regardless of my improvisations. To express my aesthetic feeling of a subject, be it an old boot, the time of day or year, a ripple of water, music, a person, a mob, a breeze, a piece of satin or burlap, heat, laughter, sadness, rain, fog, or an event, ...I must feel the close touch both physically and emotionally. Every sense must be stirred. Since art in every age is a reflection of life, I feel that it is important to have a deep appreciation of its varied facets, and to be empathetic to human nature.